A recent webinar, co-organised by the Centre for Learning and Management Practice at ISB, featured an in-depth conversation between Professor Sarang Deo, Associate Professor of Operations Management and Executive Director of the Max Institute of Healthcare Management and Dr Amit Jotwani, Co-founder at Onco.com. An edited transcript of the discussion follows. Sarang Deo: What is Onco.com? 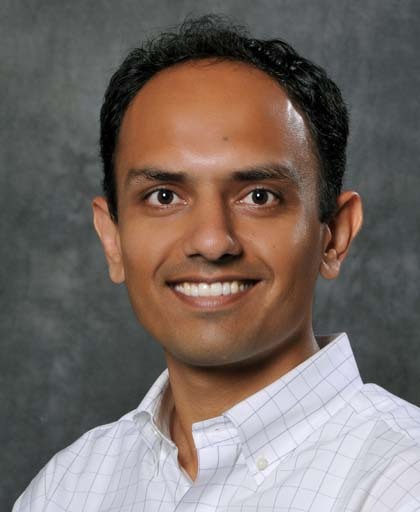 Amit Jotwani: Onco.com is a virtual care platform for cancer patients. Our objective is to become a guiding force for every cancer patient to get the right treatment. In cancer, if you don’t get the right treatment, the whole chain of events gets spoilt and the results are not as expected. So, we wanted every patient to have access to the right information about their disease, about their treatment, about the tests to be done and about their outcomes. Our vision is to empower patients with the right information. You are yourself an oncologist, so you’ve worked in this space for a long time. What triggered the spark to set up Onco? I have been in the practice of oncology since 12 years. I have worked in government organisations, in trust hospitals, in private and corporate hospitals. Across the spectrum of all hospitals, one problem I noticed was that the care being provided to patients was not really patient-centric. Somehow there would be other factors that affected the treatment protocol for patients. The patients have only one chance and that should be the best. Unfortunately, I would say that many patients don’t get that best chance. There are biases in the system. There are multiple confining factors such as affordability, the availability of equipment, availability of drugs. So, a few years back I had this revelation that something needs to be done. That’s what brought me to ISB to do a course on healthcare management so that I could understand the nuances of the management, the business part of it and the healthcare part of it so that I could mix the two and build something in this space. I was fortunate enough to meet my co-founder through an ISB faculty member. That’s how we started off. I could understand the nuances of the management, the business part of it and the healthcare part of it so that I could mix the two and build something in this space. How is the patients’ journey with Onco? When someone with a cancer diagnosis registers on Onco, they are assigned a case manager. We collect patients’ medical records, which are reviewed by a tumour board consisting of expert oncologists from across the world. For cancer, there are three modalities or treatment forms: chemotherapy taken under a medical oncologist’s guidance, surgery conducted by a surgical oncologist, and radiation therapy conducted by a radiation oncologist. Some cancers have a combination of these at different points in their treatment journey. 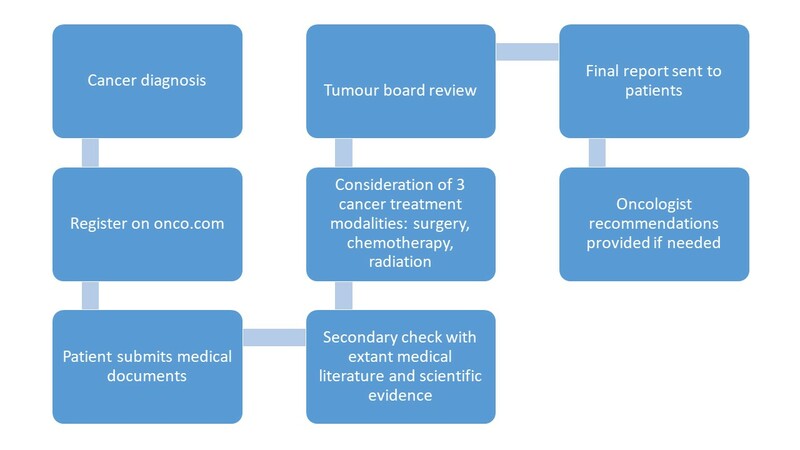 Onco offers a multi-disciplinary tumour board, where the three disciplines come together and chalk out a plan for a particular case. The tumour board gives its opinion, and then there is a secondary check to confirm whether the opinion that has been given by them fits in the scientific evidence we have. If something is not fitting in the available evidence, then we go back to the consultants to ask them about a reference or study or guideline. This back and forth happens at an intellectual level and then a final report is prepared and sent to the patients. And then we also guide them to the right oncologists for further treatment if they want. We are creating a window between the diagnosis of cancer and its treatment. The patients can take the plan created by Onco’s experts, empower themselves with the right information before going for treatment, and then they go to the hospitals. This removes the biases that may be coming in the system and gives them access to multi-disciplinary care and current knowledge which might not be available in developing countries. Once the patient takes the treatment plan from Onco and goes to an oncologist, do you see some tension here? There were some initial reactions, like oncologists would sometimes refuse to see the patient. Sometimes I would personally know the oncologists, so I would call them and explain how Onco was not questioning their medical abilities, but rather it was information which the patient wanted to receive. I explained that we could have an academic discussion and it would help get the best result for the patient. So, let’s not bring in ego in this process. We are creating a window between the diagnosis of cancer and its treatment. The patients can take the plan created by Onco’s experts, empower themselves with the right information before going for treatment. We have seen doctors coming up with another opinion, contradictory opinion and we had a healthy discussion based on scientific evidence, and then we reached a consensus. Sometimes we also may not be as accurate because Onco’s doctors don’t have the luxury of examining the patient. That aspect comes out from the treating oncologist. So, we always tell the patient that the treatment plan is based on what information you have shared with us. Sometimes we might not have clinical examination results, which is a very small component as far as treatment decisions are concerned, but sometimes that becomes an important one. So, we are open to talking to the patients’ doctors, and ensure that everyone is comfortable with this process. We also started sending emails to doctors and have tried to engage with all oncologists across the spectrum. We have seen doctors coming up with another opinion, contradictory opinion and we had a healthy discussion based on scientific evidence, and then we reached a consensus. When you look back over the last couple years, what has been the impact of Onco? We conducted a study on how Onco has impacted the patient’s clinical journey. Out of our initial 335 patients, we found that 80% of our patients benefitted in some way from our services. So just to break that number, around 15% patients were getting a totally different treatment and we could help them come back to the standard protocol. There were 27% patients where we provided an information about a better chemotherapy or a drug regime with better outcomes. 40% patients got counsel on more advanced tests which they had not done. Now this is very important. With the advent of molecular oncology and better understanding of the disease, we have targeted therapies. Many patients didn’t have knowledge about these things. For 40% of them, we guided them to get right tests done further so that a better treatment plan could be forwarded for them. We presented the study at the American Society of Clinical Oncology (ASCO) last month and also spoke with people from Memorial Sloan and MD Anderson. It was very well-received. Circling back to the start of this venture, could you think about a couple of points that you didn’t imagine doing when you started, but now you say, of course we should be doing this? When we started, it was purely patient-centric: guiding the patients with the right treatment plan. We thought, it’s not good to collaborate with the hospitals because by doing so, we may not remain patient-centric. After some 500 cases we realised that we were not closing the loop for the patient. We provided only the information part, which still had to be executed. Patients did not have any knowledge about where to go for treatment, who is the best doctor for them, which hospital has a comprehensive set-up for them. The normal process is finding doctors by word of mouth, but that’s not an informed choice. So, we thought, we should complete the loop for them, and that the real impact would come when they execute that plan clinically. Dealing with hospitals made us even more patient-centric. Patients feel hesitant to talk to hospitals or their doctors, and when someone else talks on their behalf, patients feel more empowered. We became that force with the patient who could talk to the hospitals on their behalf. We make it a point that every Saturday, both founders talk to our cancer patients randomly about our services, our case manager, the patients’ experience and whether they were able to understand the report. If the patient has not been able to understand what was written, because some part of it would be medical terminology, our team arranges a counselling call for them to explain what it means. Dealing with hospitals made us even more patient-centric. Patients feel hesitant to talk to hospitals or their doctors, and when someone else talks on their behalf, patients feel more empowered. We became that force with the patient who could talk to the hospitals on their behalf. Currently, how would you describe the scale of the operation, in terms of patients or consultations? We get around 3,000 to 3,500 leads a month. Our patients come from almost 16 countries including South Asia, Middle East, Africa, Eastern Europe. We do close to 100 consultations a month, which is a paid service. With the Onco Connect service that we have recently started, we have been able to connect around 100 patients every month to the hospitals. We connect a lot of patients, but there are other factors when they decide whether to go further or not. A lot of international patients are interested to come in. And as you start to scale up and let’s say these 3,000 leads become 30,000 and 100 consultations become 2,000 consultations, what are the successive bottlenecks that you have to overcome as you go along? Where would you want to augment capacity, capabilities? Now is the point to really bring in technology. The current model has a lot of human interaction. That does not help in scaling of operations. It becomes overwhelming and that has a danger of affecting the quality and the safety of patient data. We want to minimise that through technology. So, we are trying to automate the basic treatment advice through Onco Connect. We are building suggestive algorithms for patients. When they enter their very basic details of the disease, in lay terms, we extrapolate three or four points and based on those points, we have suggestive algorithms that are in place for most of the common cancers. Patients can just feed in their data and the geographical area of interest, and system automatically tells them: this is what you should be doing from a treatment perspective, these are the tests that you should have done by now and now you should meet such an expert. The system gives them two or three provider options where they can go and avail treatment. Now is the point to really bring in technology. The current model has a lot of human interaction. That does not help in scaling of operations. It becomes overwhelming and that has a danger of affecting the quality and the safety of patient data. We want to minimise that through technology. We are also working on report templates for a common clinical situation, where based on data from our old cases, we are trying to put report templates in place because our physician time is very critical. If my physician has to spend more than half an hour on a case, there is risk of burnout which might impact quality. In addition, we are indexing journals and guidelines along with the templates so that the physician has instant access to everything in one place. The buzz now is about how IBM Watson is revolutionising cancer diagnosis and doing the clinicians’ job. Would there be a point in the future where you have to make an outsourcing versus insourcing decision with regards to data driven, algorithm driven recommendations? In other words, can one contract out algorithms to IBM Watson and make the physicians’ core competency translating that machine output into something that is relatable to the patient? We think a bit differently compared to IBM Watson’s approach. Their philosophy is totally removing the clinician and making the process data driven. Our philosophy, on the other hand, is that we cannot change the experience part of it. Real cognition happens based on experience. The data is updating daily. So, some human intervention helps you understand some things which cannot be fed into the system. Sometimes our doctors talk to patients or their relatives to understand more. A case summary is not enough. Even when we add templates or suggestive algorithms, the final approval would happen through the clinician or the team or board, because we don’t want to remove the clinical expertise of senior doctors from the process. Clinical decision-making is much more complex than a data-driven system telling us what to do. Secondly, if you see the IBM Watson outcome reports, they are too complex even for physicians. In that situation, the current Watson report and the way it presents options may be confusing for patients to decide what to do. This is because they are solely data driven and the evidence coming up daily is so vast that it may confuse you daily. For me, it would become very difficult, as a clinician, to decide because so much data is coming from everywhere. Every week, we would have new journals coming up with new studies and new outcomes, so we cannot rely on every new study. We need to have a long-term historical meta-analysis which is more statistically significant with combined findings across studies. Some human intervention helps you understand some things which cannot be fed into the system. Sometimes our doctors talk to patients or their relatives to understand more. A case summary is not enough. We really need to have a thought process behind data points to know whether that data was really relevant. Sometimes data comes in, and in our internal discussions among doctors, we sometimes discard those readings and create a sort of qualified data. That’s why guidelines come in: we have the National Comprehensive Cancer Network (NCCN) guidelines, ASCO guidelines, and even Indian guidelines are coming up. What would your advice be to people who want to do something in healthcare, say start a health tech company? What are some common misconceptions and some pitfalls that people can avoid? Purpose is the most important part of everything we do. We should start with purpose and figure out our end benefit user or end benefit entity. And think about what you need to do to bring that real intended benefit to that end user, including resources and stakeholders. The doctors, hospital administration, even relatives are stakeholders. Healthcare is very complex. You cannot sit in a silo and develop only a technology idea. Unfortunately, I have seen tech guys very enthusiastically creating a product which does not fit into the clinical scenario, so they end up getting dissatisfied. The approach is clear purpose along with understanding the stakeholders’ perspective. Healthcare is very complex. You cannot sit in a silo and develop only a technology idea. Tech-enthusiasts should go and talk to 20 doctors I would say, not just one. And every doctor or every expert would be happy to have an intellectual discussion and to solve issues. Nobody is going to steal your ideas, because more than idea, it is the execution that matters. And you have to do some homework before you can have an intellectual conversation—for example, know that there are three modalities in cancer treatment. It is like you’re building something which has multiple pillars, which are not identical, but they have to co-ordinate, they have to understand each other’s strengths and weaknesses so that you build a strong platform. A quasi-hypothetical question: if you were to continue practising at the scale that you were, what would you do differently now that you’ve also learnt through onco.com? And what would have changed in you as a practitioner especially considering India, where a lot of healthcare is out of pocket and driven by the patient in contrast with more developed systems with insurance companies or other guardians of the process? I would suggest to all doctors that we should not take decisions on behalf of their patients. We should trust patients that they have the best understanding of their disease. And when we talk to patients, we also learn new things. It’s not a one-way conversation. I was ignoring that part in my practice. So, the discussion should be deeper with the patient and the family and while we can help them take a call, that decision should come from patients. On a broader level, the system should become more patient-centric. Instead of doctors and hospitals holding on to patients for their own benefit, they should consider informing the patient if they don’t have a modality, but it is best for the patient. Then let the patient take a call. We need to empower patients. Once the consumer has the power to ask the right questions, automatically the system becomes fair. Recently while building of this portal, we read that patient centricity is a problem even in the developed world. There, insurance companies are deciding for the patients. Patients don’t have access to their own reports in US. Patients might still not have that power or information to ask the right questions. Once the consumer has the power to ask the right questions, automatically the system becomes fair. Amit, thanks a lot for your time. Hopefully a lot of people will take inspiration and wisdom from this conversation. Dr Amit Jotwani is a Senior Consultant Oncologist (MD) and a co-founder at Onco.com. With over 12 years of experience in the field of clinical oncology, he has performed more than 500 radiosurgery treatments. He has also published numerous cancer research articles in the most reputed international and national scientific medical journals. To know more, read Onco.com in ISBInsight’s article on Taking Off: Digital Health Start-ups in India. Associate Professor of Operations Management and Executive Director, Max Institute of Healthcare Management at the Indian School of Business. Are Strong Intellectual Property Rights the Future of Innovation in India?